Paris, a winter night in 1938: a murder/suicide at a discreet lovers' hotel. But this is no romantic tragedy, it is the work of the OVRA, Mussolini's fascist secret police, and is meant to eliminate the editor of Liberazione, a clandestine emigre newspaper. Carlo Weisz, a foreign correspondent with the Reuters bureau, becomes the new editor. 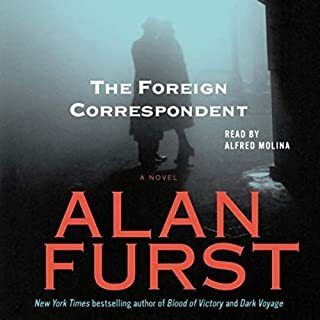 New York Times best-selling author Jeffery Deaver will make your ears tingle and your pulse race in this Audible Studios original full-cast audiodrama starring Alfred Molina. An aborted raid targeting a major arms dealer. A hostage standoff at a bank that may not be what it seems. A plot to spring a former African dictator from prison. What is the threat that connects them all? And just who is the mysterious mastermind, The Starling? From Mexico to Washington - from London to Marseille to Prague - war crimes investigator Harold Middleton and his team of Volunteers risk their lives to follow the trail of clues. But how can they stop The Starling - when he always seems one step ahead? Alfred Molina ("Harold Middleton") has won acclaim for his memorable roles in the movies, on TV, and on the stage, receiving both Emmy and Tony Award nominations. Molina made his film debut in Raiders of the Lost Ark. Since then, he's played such diverse characters as the mayor in Chocolat, and the evil Doc Ock in Spider-Man 2. 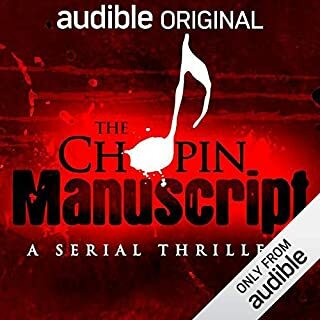 Lisa Stathoplos as "Sonya Tadic"
David J. Curtis as "Devon Carter"
Aaron Abano as "Mustafa Haddad"
Ian Carlsen as "Kyle Nelson"
Previous Harold Middleton thrillers include The Chopin Manuscript, winner of the Audio Publishers Association's Audiobook of the Year Award, and The Copper Bracelet. ©2014 Gunner Publications, LLC (P)2014 Audible Inc.
Would you listen to The Starling Project again? Why? I will definitely listen to this audio drama again. The experience was not like listening to an audiobook, but more like listening to a movie soundtrack, with sound effects, music and overlapping dialogue, all which made the experience richer. I listened in the car, but would love to listen lying down on my sofa, through headphones. I feel like I could listen this way and pick up even more details of the story. The sound effects almost become their own character, helping you to feel immersed in the environments the characters find themselves in, whether the lobby of a hotel, or a Mexican jungle. My favorite thing about this drama is that I felt like I was carried along with Harry and his team, almost becoming one of them, as they worked to complete their mission. Which character – as performed by Alfred Molina and full cast – was your favorite? Alfred Molina is always great, but I particularly enjoyed relationship between the characters of Carter and Mustafa. They were the "buddy film" within the story. As a lover of mystery and stories of international intrigue, this selection was right up my alley. If you're looking for an Oprah Book Club selection--a tearjerker, or a romance--go elsewhere. I want a story that challenges me, takes me to places I've never been. This one did. FYI - Other reviewers for this audio drama seemed to be disappointed that this wasn't more like a book. One mentioned a lack of description. But this story is more like listening to a movie or play, told for the most part in dialogue. You should know this going in. If you do, and this is the kind of entertainment you like, you won't be disappointed! What did you love best about The Starling Project? I loved how much it reminded me of listening to radio dramas with my dad when I was growing up. He used to put on The Shadow or Mystery Theatre and we'd just lie on the living room floor, imagining the whole story as it unfolded. He really taught me to listen, and it's great to be able to pass on new stories to my teens so they can enjoy the same experience. They love graphic novels--it's kind of the audio version of that. I gave the story 4 out of 5 stars because I'm not usually drawn to this kind of plot, but as an example of its genre it's told very well, with clearly delineated characters and exciting situations. A great escape into another world. Have you listened to any of Alfred Molina and full cast ’s other performances before? How does this one compare? I haven't, but the best thing was how I always knew who was talking. I think it might've been easy to have the characters blend together too much, but they were all so individual, I got a great mental image of each one and kind of anticipated how they might react in the different situations. Alfred Molina is so smooth--what a pleasure to listen to him! A master. I just really liked the adventure of it. Looking forward to listening to this one on a road trip, with all of the sound effects and music. I listen to a lot of memoirs and nonfiction which tend to be more straightforward but this was just really fun, like a "popcorn listen". 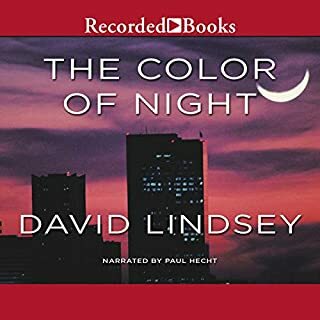 I think it's so fantastic that Audible also offers this "audio movie" more fully produced option, since audiobook listeners are looking for all kinds of different experiences, for a varied listening menu. I'd like to see more titles like this one, could definitely see myself using a credit for this genre again. Wonderful audio drama! MORE, MORE! Most definitely. And I would point out to that friend that this is not a single narrator audiobook but an audio DRAMA. Very different medium. Why? I liked it, don't need a better reason than that. In all seriousness, the entire cast was good, not just Alfred Molina. Pulling together that many voices was quite an achievement in itself. And honestly, the Starling's identity? There were "twists and turns" that I saw coming from a mile away, but that last twist I DIDN'T see coming. Also 4 hours is a good amount of time for a production of this nature; I was able to hear it all in one sitting rather than break it up into chunks to hear here and there. Well if you mean full-cast audio dramas, I've heard quite a few, especially from the BBC (Hitchhiker's Guide, Down the Line, the BBC Radio versions of The Good Life, and the like), and this production is just as good. The scenes between Molina and Ms. Stathoplos. Not to mention they were a good break in the action. Quite a few: let's start with the fact that this is not old time radio, or a radio drama. 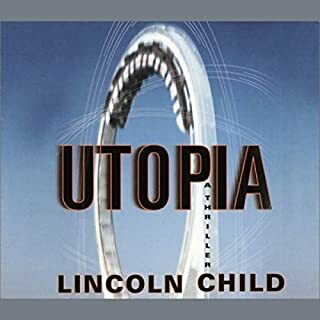 Works of this magnitude don't get played on American radio, not with a handful of corporations controlling the airwaves. This exemplifies what's best about MODERN AUDIO DRAMA. I don't listen to single narrator audio books, I prefer reading physical books while I can! So if I am going to listen to something I would rather it be an audio drama; multiple voices expand the world of the piece far more than a single narrator audio book can. 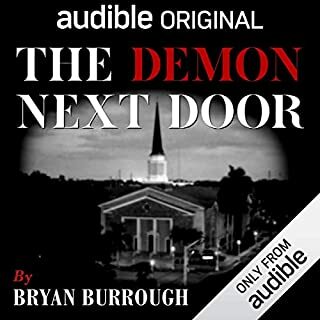 What this has shown me is that rather than being the odd man out in the world of American audio, there needs to be MORE of this kind of work coming not only from Audible but from every major audio book publisher out there. Yes, I'm looking at YOU Random House; and you, Hachette, and Blackstone, Brilliance, and Tantor. Moreover, with the end of audio drama on the CBC, here's a perfect opportunity to bring the medium back for Canadian audiences via Audible's Canadian division. And why not provide BBC 4 Radio with a little competition, Audible United Kingdom? Other authors I can think of to get the audio drama treatment: Stephen King, Michael Chabon, Diana Gabaldon, classic authors from the last century (Fitzgerald, Thorne Smith, Dos Passos). How about JK Rowling's new adult detective series ("The Cuckoo's Calling")? Absolutely. The production values are incredible. I listened with headphones and was immediately transported to a mind-movie. There are also so many twists and turns, it definitely warrants a second, if not third, listen. Mustapha and Devon. They were the quintessential buddy pair, with a lot of light humor and tension. The storyline is fairly decent, with a dynamite opening and a number of false trails that keep you guessing and scratching your head. It maddeningly ends without the villain being caught (not a spoiler), inviting the hope of a sequel. I listen to a lot of audio drama, mainly British (Perfectly Normal, Crazy Dog, BBC) because Americans seem to have lost the ability to create in this medium. But this production has canceled those doubts, and I look forward to more Audible Dramas! Will listen to again! This book is awesome what a phenomenal story, and the cast made the book come to life. Audible did a masterful job producing this book. The action is fast paced and the sound effects made the book even better. If there is any criticism is that sometimes you would get lost on who was speaking. Professor Harold Middleton. He is so brilliant and when you think he is going to be outsmarted by the bad guy he is able to flip it on them. The book has lots of great twists! The Scene where the bad guys had taken the hostages in the bank, and the team had to save the hostages and the head of the World Bank. The whole book moved me. It was this great James Bond Style book. I highly recommend this book. Killed the book in 1 day!!! The whole cast made this book so great and this my first Alfred Molina narrated book, but it surely will not be my last. I highly suggest this book as a must listen to. Bravo! Like a night at the movies! 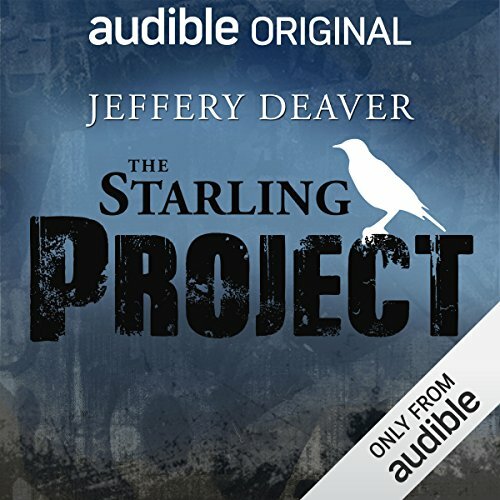 Where does The Starling Project rank among all the audiobooks you’ve listened to so far? Liked this very much, the full cast concept is great. I haven't heard real contemporary radio drama like this before. I haven't heard a real radio play like this since I was a kid. This was excellent, I'd enjoy more like this. It didn't start out that way. but once I began to get into the story I kept wanting to know what was going to happen next. I love the full cast concept. Would love to listen to more like this. Alfred Molina's voice and character. He can do no wrong. No one else could have done it justice. Yes! Especially the bank scene and the bomb disposal. I kept jumping, it was so realistic. It was like listening to a movie with the picture off. I liked the Harold Middleton and Sonja scenes. They sounded very natural, and it was very romantic. I wanted to, but couldn't. I finished during 3 commutes. I actually sat in the driveway for the last few minutes so I could hear the end. I loved it. I just joined as a member and this was a free book for joining. I had to get it because it was Alfred Molina. What made the experience of listening to The Starling Project the most enjoyable? This was one of the first times I'd listened to an audio book and I was blown away by the production; it was like a movie for your ears! I really liked the Mustafa character because he sounded like a real person. Also, I liked the Molina character as well; it's like he was the master of the unknown. What does Alfred Molina and full cast bring to the story that you wouldn’t experience if you just read the book? I think the whole cast brings another dimension of realism to the whole story that you would not have experienced had you just read the book. I wish I could have listened to this book in one setting but due to my job, I had to split it up in several weekend sessions. I think I will start purchasing more audio books if they are this well in their presentations. I love this new discovery! I liked the action scenes in the jungle and in the bank but I also really loved the characters in total. The relationship between Devon and Mustafa and Middleton and Tadic were so honest and natural but each character really came to life believably! What was one of the most memorable moments of The Starling Project? This is a new discovery for me-audio drama- and I just think it's great! Unlike an audiobook where someone is simply reading you a story, this medium creates a tangible experience- like listening to a wonderful movie. It's fabulous that it is my imagination completing the picture! I am new to Jeffery Deaver but it's a great ride to hear this story in this new and exciting way and I'll certainly be looking for more audio dramas in the future. Can you get Molina again? AND this terrific cast? It wasn't narrated; it was acted and superbly! Please, more books done as audio drama, please, please? Such a rich experience. There's a lot going on here! Many characters and lots of little things to keep track of that a second listen would definitely enhance. But overall a very intense and impressive amount of work and theatrics. Obviously Alfred Molina brings Alfred Molina! Such an outstanding actor and it was such a treat to hear him do an audiobook of this magnitude. Excellent casting choice. I don't think it would've been better had they brought in any other A-lister. Molina brings such credibility to his performances and this one was no different. The cast was excellent. Yes, there are a ton of accents that might be slightly overdone here and there but it doesn't distract from the performances/story unless you let it. Very intense and so incredibly produced. The technology used to make this must be new to the audiobook world, because I've never experienced an audiobook in surround sound. You can actually hear when a character runs in from the distance or is calling out from behind you. So... again... impressive. I'll agree that this is not one of Deaver's best, and that things are a bit fast-paced with not enough breaths between dialogue - sometimes seems rushed which caused me to say "huh" several times and rewind a few times, but as I said, a second listen would probably remedy all that. Not to mention it's less than 4 hours long. For many nowadays, that's a week's commute in the car. Not a bad way to spend the trip if you ask me. Final verdict - definitely recommended, bravo cast and a big bravo AudioComics for your impressive presentation. British accents were farcical, stilted performances by all, applied the story which may have been ok - it's hard to tell. It's been a while since an audiobook has been so bad it's actually made me angry! I forced myself to finish this to be able to write a review. Alfred Molina who is an incredible actor normally is as flat as a pancake in this drama. His voice is so monosyllabic and without emotion that you actually suspect he wasn't in the same room as the other actors when recording their lines as he recites his with absolutely no feeling at all. The British accents are borderline racist! It's something from the 1960's in fact the two actors who did the best British accents weren't actually supposed to be British at all. Because of Molina's deadpan acting the rest of the actors come across as overacting to compensate which is a shame as they tend to carry the story along much better. At times the exposition is so staged it feels like you are listening to a video game moving onto the next scene. Plot wise, it redeems itself slightly in the last half hour but twist and turns become laughable because of the acting and aforementioned plot and scene setting. Down to Earth with a CRASH! I've been on a good run recently: authors new to me; first-time authors and most recently the wonderful Mr Fry doing Harry Potter. So for a change of pace I dug this out of my library and . . . well I'm not sure where to start. I'm sure Audible didn't set out to produce something this bad. The production values seem high with varied music, sound effects and a full cast. Sadly most of them were more caricature than character and the story just seemed a bit daft. Maybe others will find value in this but for me it was a rude awakening; not everything listed on Audible is worth listening to. Sorry, this one definitely didn't work for me. I afound this eally cheesy with a really weak story line, I was very disappointed. If you like cliches, this is the book for you. In fact the book is just one long cliche. Lots of macho posturing, macho female posturing, rapid, overexcited speech, sultry Eastern European agent, utterly predictable. Sounds as if it was put together by people who have overdosed on spooks, jack Higgins, etc etc and has ended up as a parody of the spy/action genre. In fact it is so bad it's actually quite funny. What could Jeffery Deaver have done to make this a more enjoyable book for you? Might be a better read?? Keeps you listening, much like a page turner in the physical book world. The dramatisation really conveys a great picture in your mind of what is going on and the voice actors are excellent. The story itself is really good and is well worth the listen. If you are into modern covert operations you will enjoy it. Good story but bad accents! Enjoyed the fast moving story, but I found the accents almost comical - really hard to stomach (apart from Alfred Molina who I thought was good). What disappointed you about The Starling Project? It abused my ears. What may have been an interesting story was blotted out my the sound effects which were given priority over speech. The actors I felt were out of their element, and compensated by breathless over-acting. Endured less than an hour.....dreadful! 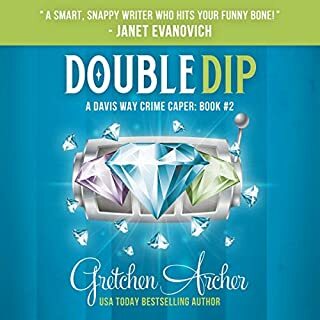 If you’ve listened to books by Jeffery Deaver before, how does this one compare? I haven't listened to him before. What didn’t you like about Alfred Molina and full cast ’s performance? The characters did not make any impression even when the machine gun fire wasn't around. What character would you cut from The Starling Project? I will stick to the BBC for these types of audio. Overall enjoyable...although I feel it would have been easier to follow if filmed. Lost track a few times and had to go back. Not sure I would recommend it to a friend. Would you recommend The Starling Project to your friends? Why or why not? I am a fan of Alfred Molina and he was well-cast....the steady unflappable man. Have you listened to any of Alfred Molina and full cast ’s other performances? How does this one compare? A really good story, full of drama and suspense. There were many twists and turns and it kept a good pace right up to the end. The audio cast were very impressive, Alfred Molina was particularly good in the lead role. It kept me guessing and I didn't see many of the twists and red herrings. I would listen to a production like this again and I would read books by the same author. I like his style of writing.